No, you do not need a phone line for a home security system. In fact, we strongly encourage users to not use a phone line with their security system. Instead, it is much better to use a cellular connection with an alarm system. Even then, an IP connection is also superior over a phone line. When used with a security system, a phone line connection is often referred to as a POTS connection. POTS stands for "Plain Old Telephone Service". The problem with a POTS connection is that it is extremely slow, and the signals do not always go through successfully. Additionally, a POTS connection can be physically tampered with by a potential intruder. For these reasons, we discourage users from using a POTS connection with any monitored alarm system. For many years, a POTS connection with an active phone line was the only way for a home user to have a home security setup. But today, this is no longer the case. Now, most home security systems use either a cellular connection or an IP connection. Some systems will even use both IP and cellular connections in order to achieve a dual-path communication setup. This provides both the ultra-fast speeds of WIFI and the exceptional reliability of cellular service. However, when used individually, both IP and cellular service are significantly faster and more reliable than a POTS connection. Additionally, there is no interactive service platform that works with a POTS connection. Total Connect 2.0, which is for Honeywell Systems only, can be accessed with either an IP or cellular connection. 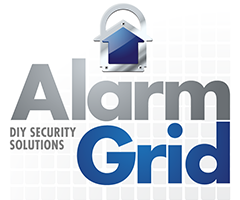 But Alarm.com, which is for alarm systems from other manufacturers, can only be used with a system that has an active cellular connection. Both of these interactive services provide many great features for end users, and they are strongly recommended. In order to use an IP or cellular connection, the system will need to have an appropriate type of communicator installed. For some systems, an IP, cellular, or combination communicator will need to be purchased and added separately. But other systems will come with one or both of these communicators already installed. An example of an alarm system that comes with both an IP and a cellular communicator already installed is the Qolsys IQ Panel 2. While both cellular and IP connectivity are vastly superior to a POTS connection, it must be mentioned that cellular service is the ultimate communication path for an alarm system. Cellular service offers phenomenal reliability overall. This is because cellular service almost never goes down or becomes unavailable. It is also unaffected by typical power outages, and it will keep the system monitored when the electricity goes out. Cellular service also offers speeds that are right on par with WIFI, so a user won't have to worry about slow communication when using a cellular connection.